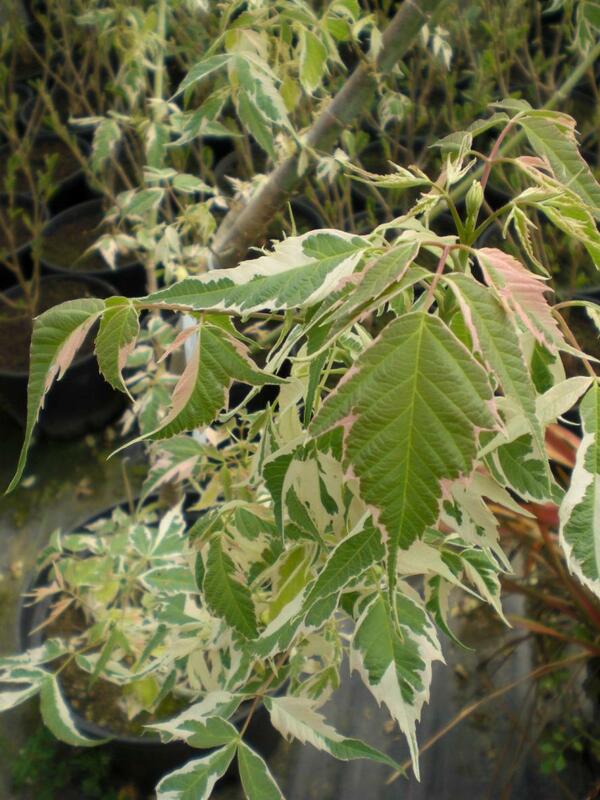 Ash Leaved Maple or Box Elder Flamingo. 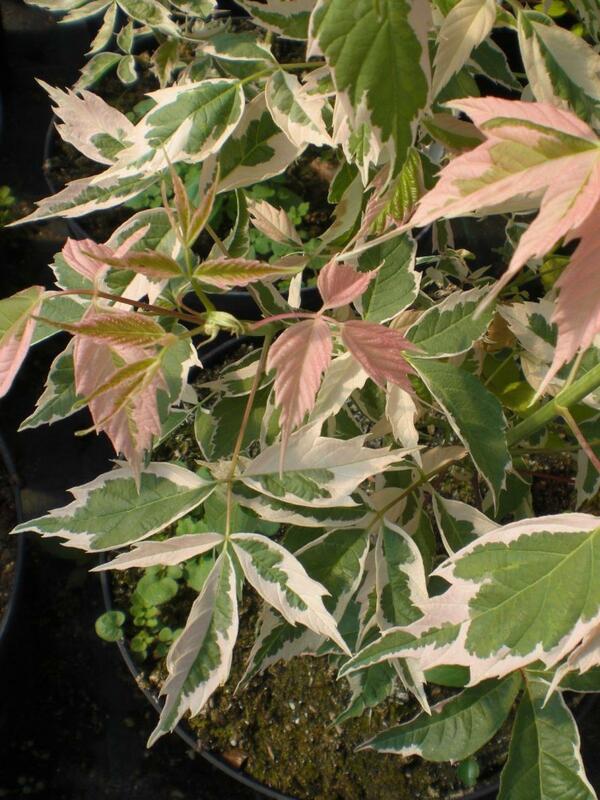 Acer Flamingo is a fast growing upright deciduous tree with pink young leaves in spring turning light green margined cream with blushed pink as the season continues. 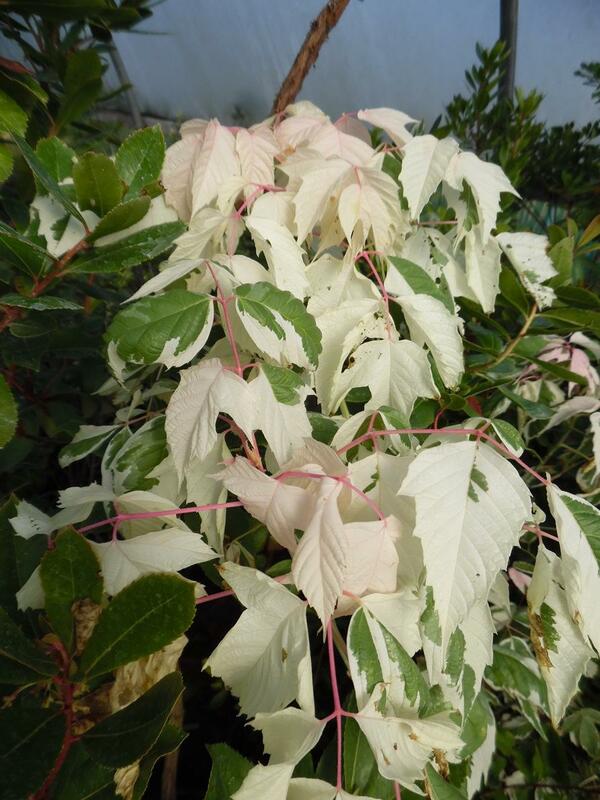 Can be planted in full sun or part shade conditions growing in all soil types. Shelter from harsh winds and frosts. Good for smaller gardens. Eventual height up to 12 metres plus.